Often overlooked by most tourists and locals alike, the Bronx—one of five boroughs that comprise the city of New York—is rich in cultural and historical attractions. From the Bronx Zoo (the largest urban zoo in the United States) to the New York Botanical Garden (one of the most visited botanical gardens in the world), this borough has something for everyone. Visitors can explore historical locations (including where George Washington slept and where Edgar Allan Poe lived and worked), watch a game in one of the most famous baseball stadiums in the United States—Yankee Stadium—and sample delicious Italian food in New York’s real “Little Italy” on Arthur Avenue and New England style seafood at City Island along the edge of Long Island Sound. 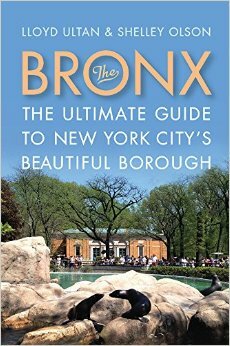 The Bronx—which includes thirty-six color photographs—provides visitors with informative chapters on more than twelve of the borough’s extraordinary destinations as well as self-guided walking tours of some of the most ethnically, architecturally, and historically diverse neighborhoods. LLOYD ULTAN holds the appointed government position of Bronx Borough Historian. He is a professor of history at Fairleigh Dickinson University, and the author of over 1,000 articles about the Bronx and ten books including The Northern Borough: A History of the Bronx, and The Birth of the Bronx, 1609–1900. SHELLEY OLSON taught at the University of Houston, the University of North Carolina’s Center for the Advancement of Teaching, and Wake Forest before relocating to New York City, which inspired her to write this book.